Who is Pike District Pedestrians? Pike District Pedestrians is a grassroots collection of people who want to improve safety for pedestrians in the Pike District. We're supported by the staff of the Coalition for Smarter Growth and the team at Friends of White Flint. We welcome the the involvement of individuals, businesses, nonprofit organizations, and property owners who share our mission to make the Pike District safer for people walking. Sign our petition, or email Pete Tomao to get involved more directly! 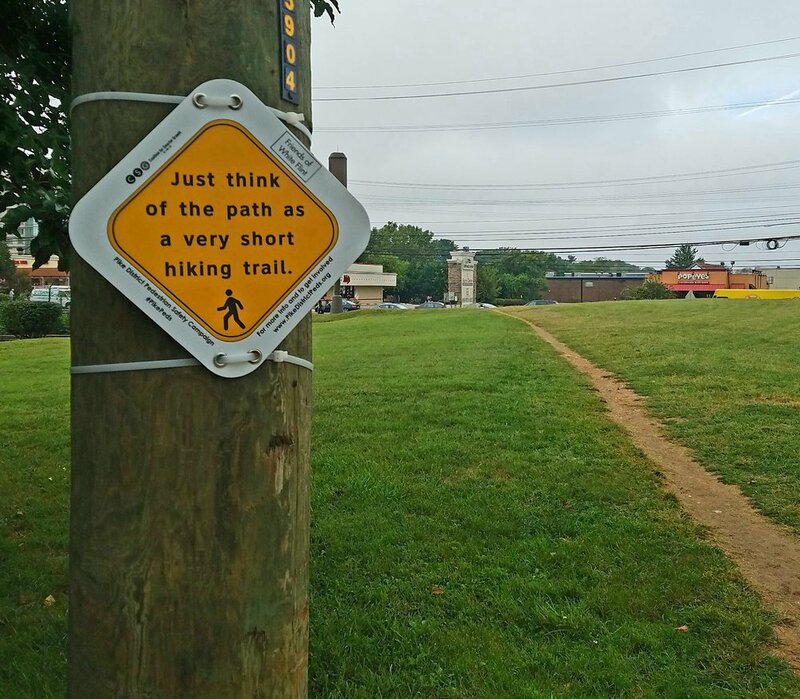 Our volunteers filled the Pike District with signs giving walking tips and asking pedestrians to get involved" These signs launched this innovative campaign in the Pike District! Friends of White Flint is a nonprofit organization made up of residents, businesses, and property owners who want to create a walkable, vibrant Pike District/White Flint community. Visit us at whiteflint.org. 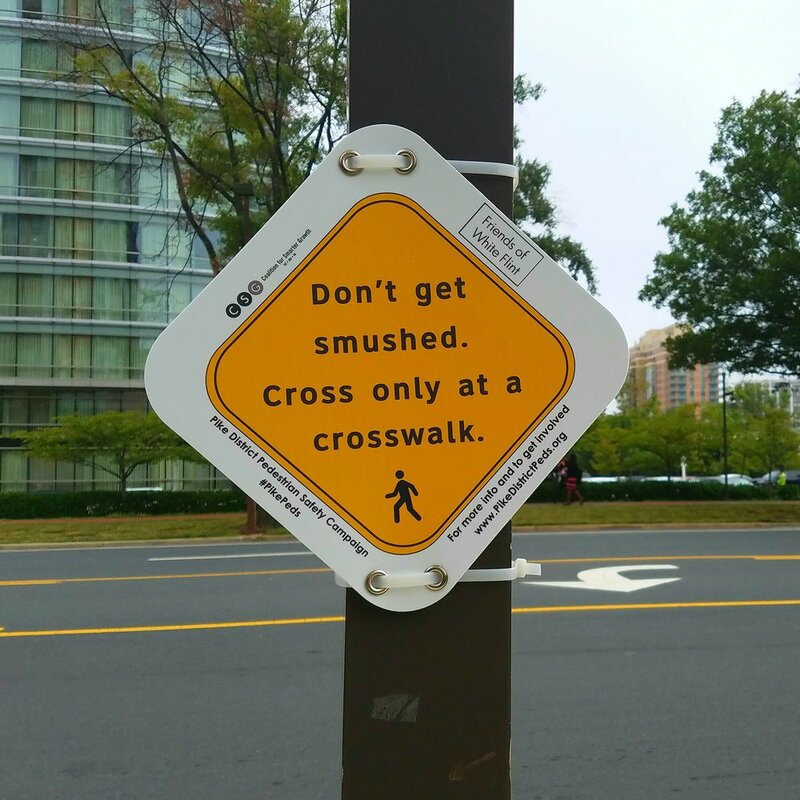 The Coalition for Smarter Growth promotes walkable, inclusive, and transit-oriented communities in the Washington DC region, and the land use and transportation policies and investments needed to make those communities flourish. Visit us at smartergrowth.net. We want to see a more inviting pedestrian environment and improve pedestrian safety in the Pike District in the next two years. We think we can make it a reality through cost effective improvements.